25/40kg PVC bags or paper bags or as customers request. Good weatherability (Lightfastness, heat-resistant and alkali resistant). Strong tinting power, excellent coverage and fine dispersion. 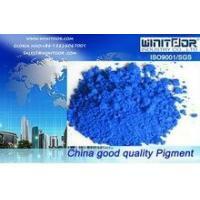 Quanzhou Winitoor Industry Co., Ltd was established in 2004 in Fujian Province of China. Our company specializes in trading and manufacturing pigment ,micro silica,and concrete admixture .We have own more than Four factories in Lanzhou Sichuan and Yunnan etc. So that we can offer you more material with high quality and competitive price. also we have built our own processing plants in the chinese silicon and ferrosilicon. They are widely used in chemical industry, metallurgical industry, tunnels, airport runways, highways, dams and urban high-rise building projects. we are manage a series of microsilica in application of Concrete, Refractory,Mortar and so on. Winitoor has built excellent business relationships with customers from all over the world, including customers from Japan, Korea, Europe and the Middle East. Especially in the Middle East & South Korea,We export thousands ton of microsilica to gulf countries Monthly and hundreds ton of microsilica to South Korea for refractory, and enjoy very high reputation from our customers. Please contact us if you want to find a high reputation and long-term business with good quality and services. We are looking forward to doing business with you. Winitoor Mission: with a professional & experienced team to offer most competitive silica fume for various industries, And become your reliable suppliers by delivering high quality silica fume worldwide.